Almost four years. That’s how long I’ve been using the Zpacks Arc Blast for my hiking adventures. The Arc Blast is very sturdy, lightweight and has got an external frame to give you the opportunity to carry heavier loads, up to 16kg. For the past couple of years I’ve not really been using or rather needing that extra weight range. Pack weight has gone down. Not really by changing out many of my items but more because of learning what works for me; leaving things at home and picking better food to match the kind of activities I’ve been doing. I’ve also had some issues with the Arc Blast that the frame comes undone. This was something I had seen and heard prior to buying it. He who showed it to me was also frustrated about this with his pack. When this happens you’re not using the frame at all and it carries somewhat like a frameless backpack. Not looking too happy with the Arc Blast at the moment. Therefore with these things in mind I started looking at a replacement. Or truth be told not really a replacement but a adaptation of my backpack to what I want in my pack. Still very happy with my Arc Blast. Enter, KS Ultralight KS50 backpack! What I wanted in a new pack was the basic features of the Arc Blast. Waterproof outer shell and big mesh pocket on the bag. These things are not too hard to find on your average lightweight backpack nowadays. I’ve seen KS Ultralight backpacks in the flesh before as Jon got himself a KS Ultralight Gear Imo Pack a few years ago. I knew that these packs would be just as well made as Zpacks or even better so the choice to pick one up was a little easier. It doesn’t hurt either that the owner Laurent, is a really nice guy. Customizations is a very big thing with KS Ultralight packs. Back in the day, Zpacks would make you custom fits too but not anymore as they’ve grown. Customization or rather, a lot of options, are available to you when picking your KS backpack. Everything from what type of fabric, colors (yes that’s plural) and additional bells and whistles. It’s all there for the picking. If you’re missing something in particular, just drop an e-mail and it’s probably doable. All of this is still within reasonable money! It’s still cheaper or around the same money as your average off-the-shelf backpack. So what is my setup? I went with a KS50 backpack. As the name suggests it holds 50 liters. There’s also a KS40 if you want to go even smaller. 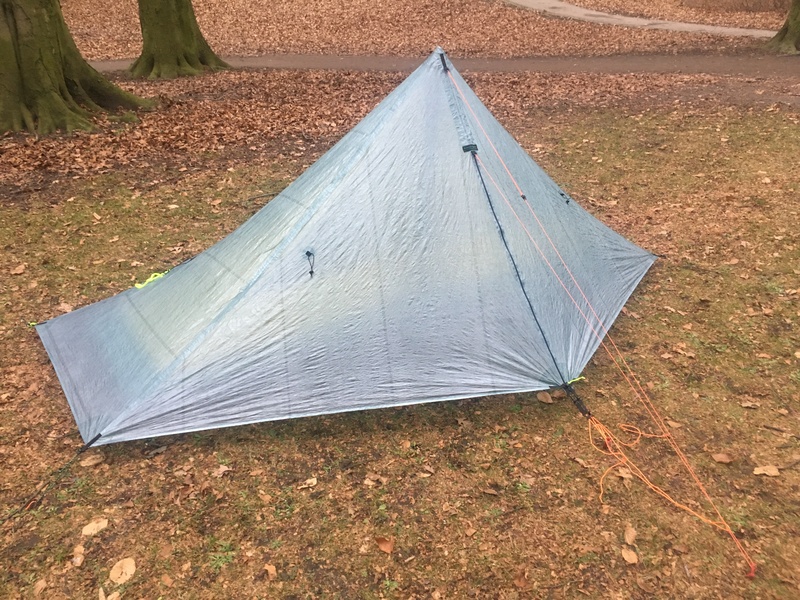 There’s no Dyneema Cuben Fiber option but there’s VX-21 fabric that I was told would be the equivalent of DCF. VX-21 feels very durable and is softer than DCF and thus I guess it’s not as likely to break if folded and pinched. Keep in mind this is not something that I’ve had happen with any of my DCF items but it’s something I’ve read about that can happen with prolonged use, read multiple thru hikes. VX-21 comes in a variety of colors and can be mixed as you see fit to get your own one-of-a-kind backpack design. I went with coyote brown for the main body and red side pockets. Hip- and shoulder pouches is something that I wanted. Two of each but I think I’ll only be using one of the shoulder pouches, the one with the mesh. The reason I ordered two is because it’s a good option to have and while ordering it would be more of a hustle to order an additional pouch later on if I decided it’s something I’d want. With many packs you have ice-axe loops located on the back of the pack. Many use these for storing your trekking poles while road walking or going up steep climbs when they’re just in the way. I don’t like taking off my backpack just to put them there and then again when I want them. So I asked if he could make trekking pole holders on the side, just like the Osprey packs have. Sure thing, not a problem! It’s now even a standard option for you to pick with your KS backpack. The only real downside with KS Ultralight packs is their website. But once you get used to it there’s nothing complicated with it. You pick your pack and then add what ever options you like to have. Fabric is picked in a different place from where you get all your pack accessories and options so this is what I found most confusing. 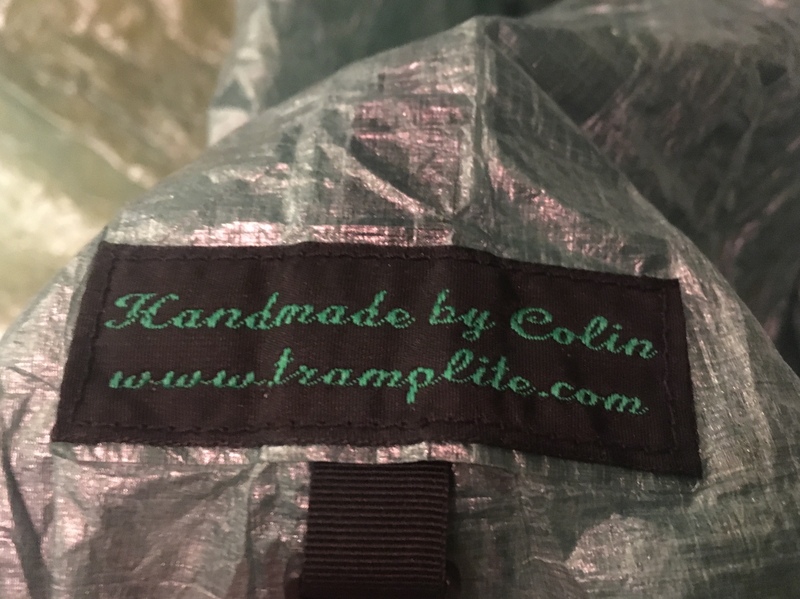 However if you manage to order something that doesn’t work or that can’t be combined, everything is proofread prior to manufacturing so there’s no risk of you getting a non-working backpack. Wow, just wow! What a backpack! It’s super comfortable and feels very durable. Knowing that “this is my pack” adds to the wow-feeling. I could probably have gone with the KS40 but as the weight difference is minimal I still decided on the KS50. With all of the things above it weighs in at 583g. Removing the shoulder pouch (non mesh) you’ll skip an additional 25g. This compared to my similarly outfitted Arc Blast (623g) they weigh about the same. A more in-depth review will come around May/June of 2018.